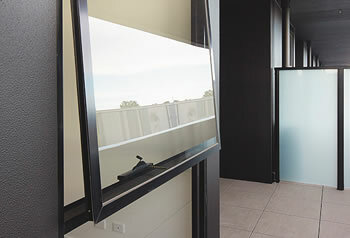 Alspec's® ThermAFrame® Flush Glazed system is a high performance energy efficient framing option that utilises the latest in European Polyamide Thermal Break technology combined with Australian design principles to achieve the best possible results in energy rating in a system that is easy to fabricate and install. 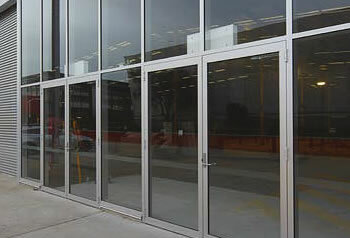 It’s versatility allows countless specifications to be achieved, from standard shopfront applications through to low rise window wall applications. 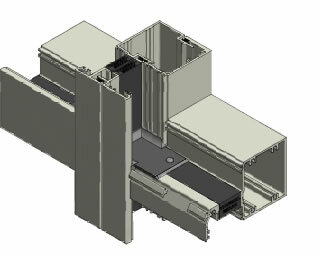 It has been designed to accommodate high performance double glazed units that can maximise the performance of the building envelope. 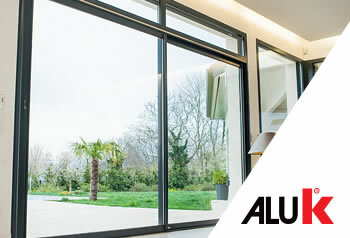 Available in two frame depths 101.6mm and 150mm x 60mm, ThermAFrame® Flush Glazed allows architects to minimise the transfer of heat or cold across a window with a standard system. With the use of heavy duty mullions the ThermAFrame® 150mm Flush Glazed system with a myriad of mullion and reinforcing splice options can allow heights to reach and surpass 4.5m depending upon wind loading conditions. 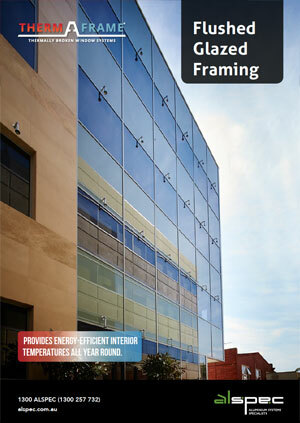 Subsills are recommended for optimum weathering with all ThermAFrame® systems.